Vishal Soam has a vision to change the world and with his attitude, thirst for knowledge and exceptional language skills, he has been sprinting in the right direction ever since. Vishal’s technical background as a result of his bachelor’s and master’s course in Engineering in Japan, along with the experience of leading several clubs and societies prepped him for a wonderful career as a global leader. Winning the Nitori International Scholarship and the MEXT awards motivated him to constantly look above and beyond. Being a natural leader and an exceptional analyst, his career in consulting took off on the right note. 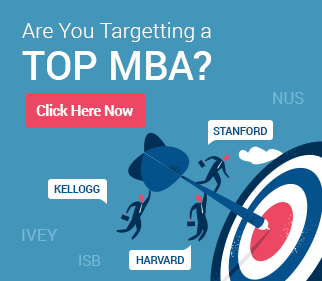 What is the Wharton Lauder MBA Program? The Program: The Wharton Lauder MBA/MA program has been in existence for over 30 years and has been providing a degree that is much more than just a Wharton MBA. With its focus on International Business and taught by internationally reputed scholars, this degree has trained and prepped several for a highly successful career in numerous industries such as Finance, Consulting, Social Impact and so on. The Course: This is a unique and rigorous academic program of MBA/MA (Joint Degree) where the students are shaped to become global Business Leaders. The 24-month rigorous program works in association with the MBA from Wharton and hence looks for students with the highest potential to study intercultural competencies as part of their business studies. At the start of the program, you are required to choose an area of concentration (amongst East and South-East Asia, Africa, Latin America, Europe, Global and South Asia-Middle East-North Africa). This includes an eight-week Summer immersion program and two Lauder Intercultural Ventures (LIV). 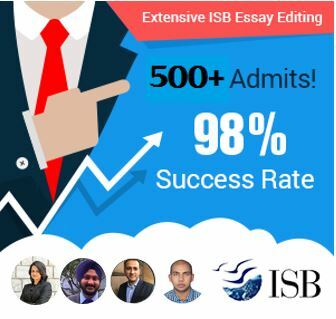 Such a combination is unique to Wharton and promises a business study experience like none other. For instance, Zeehan Rauf talks about his LIV experience in Cuba undertaken in April 2017. Apart from experiencing Cuba as a tourist, he came away greatly impressed by the experiences of a Startup Founder. The Course currently costs around $40,000 in addition to the Wharton MBA which is an additional $ 110,000. There is partial aid (of about $20,000) and a full scholarship called “Leonard Lauder” (select highly qualified students) which can be availed. The important thing to note is that it is a joint program involving both the Wharton MBA program and the Lauder Institute. So, it is an integrated application to both the institutes simultaneously. Your proposed area of concentration along with the Oral Proficiency Interview Test Results. An 800 Word Lauder Essay- explaining the reason for applying to Lauder and the value add for you and to the Institute. On selection, you will be informed about an interview with both Lauder and the Wharton Admission Committees. Industry Experience: Generally, those that apply for the joint program have found to be having an average of 5 years work experience and the class profile generally consists of students from all over the world where the average age of the students is around 28-29****. Most people who opt for this program have had industry experience of either having started companies or working in Companies for about 2-3 years. A huge percentage of the student population have an experience in the Finance Industry (about 36%) and the second highest comes from Consulting Companies. ***** For instance, Victoria Cheng# who after a college education in Berkeley, a few stints with consulting firms, wanted an early start in what she thinks is the future, i.e. Self-Driven Cars. Understanding that this program will give her the connections and knowledge to work in China towards her dream, she signed up for the program. Prior Education: If you consider the Student Profile of the Lauder Program of 2019, the number STEM Undergrads (Science, Technology, Engineering, and Mathematics) majors have grown considerably and this could be attributed to an increased demand by recruiters and Silicon Valley employers for those with a technical background. Further, having spent a few years studying a subject or an industry gives you clarity about building a successful career in the right industry. With a maximum of 300,000 as the reported yearly compensation, the average compensation stands at about $125,000. what is promising is that 100% of students that applied for Summer Employment have received offers of employment. The Wharton Entrepreneurship is an amazing resource that helps those who want to start their own venture. 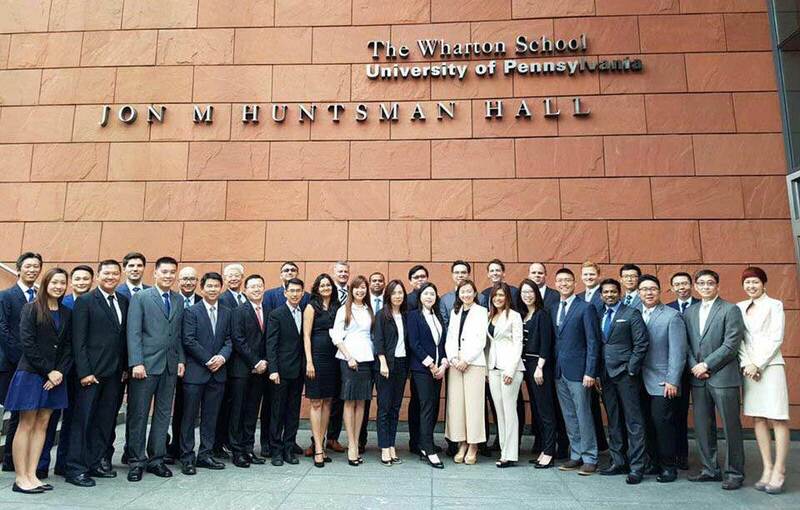 The Wharton Alumni is constantly involved with their support to the current students and the institute. This is visible through their involvement with Immersion Programs where they travel with the students, Lauder Global Fellows Program (where they mentor students) and Monetary Contributions to the Institute. Kim Conroy*** is the institute’s Global Career Advisor. While she assures that most of the people who come into the institute already have a foot in the door through internships, she helps them to present their qualifications and experience in the best way possible to help them secure the future they want. While there are several others who have chosen the entrepreneurial route and many others who have opted for lesser-known fields, this number is smaller. For instance, Colton Neeves## (Class of 2015) believes that the multi-cultural experiences at the Lauder Institute set him up perfectly to work with the EdTech Company, Panorama Education. His experience helped him to solve the multicultural challenges faced by such companies seeking to expand their operations. His networking and connections have now made him the Director of Product Management with SimCase, designing games, and simulations for schools. Vishal Soam: Goldman Sachs to Wharton! Beginning his career in Goldman Sachs, he was able to steadily move up the ladder thanks to his exceptional work ethic and focused efforts on the given target. He constantly impressed with his ability to bring teams together to lead projects, oversee funds and ensure that fund launches are executed without a hitch. Within two years he moved to a senior analyst position which was a reinforcement of his capabilities. Several new challenges were handled with ease as he gained experiences in strategy and business process management in the new firms Genpact and Crowe Horwath International. Genpact and Crowe Horwath International exposed him to new areas where he formulated policy, analyzed revenues and expenses and created business proposals amongst several other new responsibilities giving him the right business exposure. The Wharton Lauder MBA/MA program was bound to provide him with the edge that he was looking for. 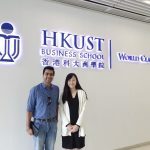 Being well-versed in the Japanese language along with a keen understanding on doing business in the Indian region, Vishal felt convinced that this would be a distinctive program that would help him to learn in a truly global environment and provide him with the right platform to excel. The program is a 24-month rigorous curriculum that works in association with the MBA from Wharton and hence looks for students with the highest potential to study intercultural competencies as part of their business studies. It is difficult to enter the Lauder program considering how exclusive it is and yet with the right guidance and a focused approach, Vishal was successful. The GyanOne team had been completely hands-on with Vishal and his application to the program. Apart from having the expert knowledge about various programs offered by some of the best schools in the world, they were able to provide the right guidance on an application to the Lauder program. The application guidance he received was critical as this is a joint program involving both the Wharton MBA program and the Lauder Institute making it an integrated application to both schools simultaneously. As he hopes to graduate from the program in 2019, we wish him much success in every endeavor!